The FPAC Art Walk is a great opportunity to see Boston’s art community at its best. With 75 art studios and galleries to peruse through 10 buildings, there is no better way to completely immerse yourself in all the creativity that Boston has to offer. In addition to the art, explore this historic section of Boston while meeting the residents who call Fort Point home and attending special Art Walk events! Don’t worry about getting lost; print out this extremely helpful map to plan out your walk. 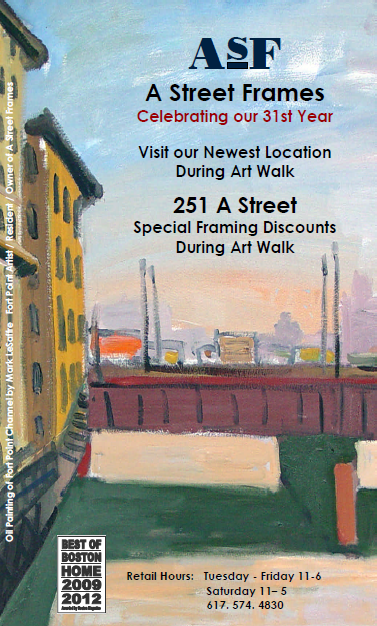 At the heart of all the excitement is A Street Frames’ newest location, 251 A Street, which will be open and ready to frame any art purchased from Art Walk artists throughout the event. 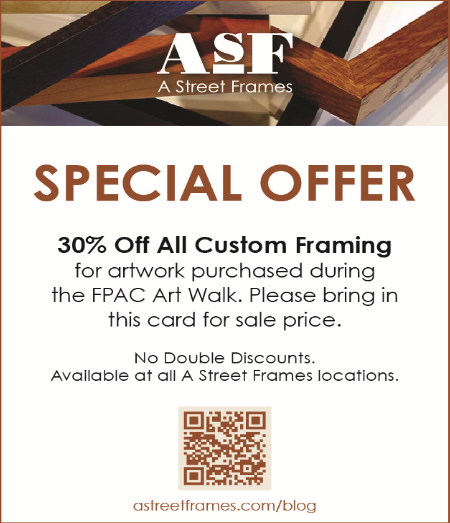 30% framing discount vouchers will be available at each participating artist’s location – and can be redeemed at any A Street location for Art Walk purchases. 251 will also be exhibiting the work of photographer Bruce Rogovin.